There are many ways that you can change the design of your SportsEngine website to make it your own, but a great place to start is under Theme Settings where you can change the website colors, logo, background image, and banner image. Step 2: Click the Website tab then choose Website Settings. Step 3: Click Theme Settings. Your website Brand Colors affect the color of every page element on your website. Choosing brand colors that represent your organization will give your website a familiar and professional look. Your website Background Image is displayed behind your website's main content. Choose a subtle background image to complement your site's primary content. You can also choose a SportsEngine Background or a solid color as a background if you don't want to use your own image. Active: You must check this in order to use the background image. Site Default: Make the image your site's primary background (only one site default allowed per website). Title: A name to identify the background image. The title will not be displayed to visitors. Description: A description to identify the background image. The description is not displayed to visitors. Background Color: The solid color that will display to the sides of or in place of a background image. Position: The position on the website page where the image appears. Repeat: Determines if the background image is repeated vertically or horizontally (not recommended). Attachment: Determines if the background image stays in the window if a visitor scrolls. Background Graphic: The image to be placed in the background. Section: Select a section to only show a background image on specific pages. Your website Banner Image is displayed above your main website content on selected pages. It's a great place to add the name of your organization in style! Active: You must check this in order to use the banner image. 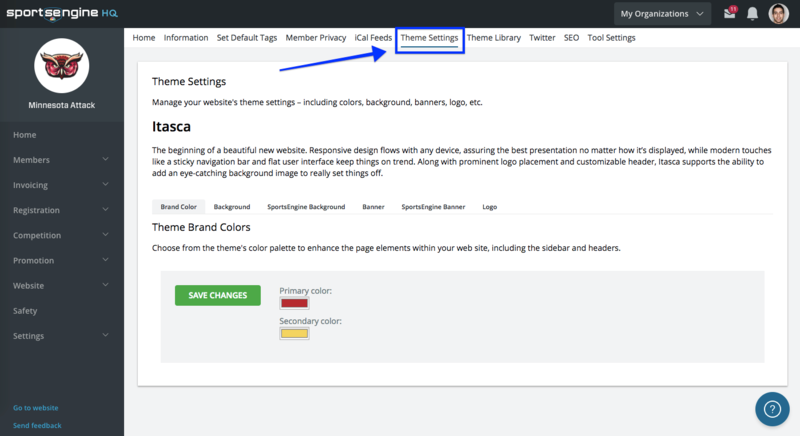 Site Default: Make the image your site's primary banner(only one site default allowed per website). Show Headline on Banner: Display a headline on the banner, such as your organization name. Title: A name to identify the banner image. Show Title on Banner: Display the title on the banner image. Description: A description to identify the banner image. The description is not displayed to visitors. Banner Graphic: The image to be placed in the banner. 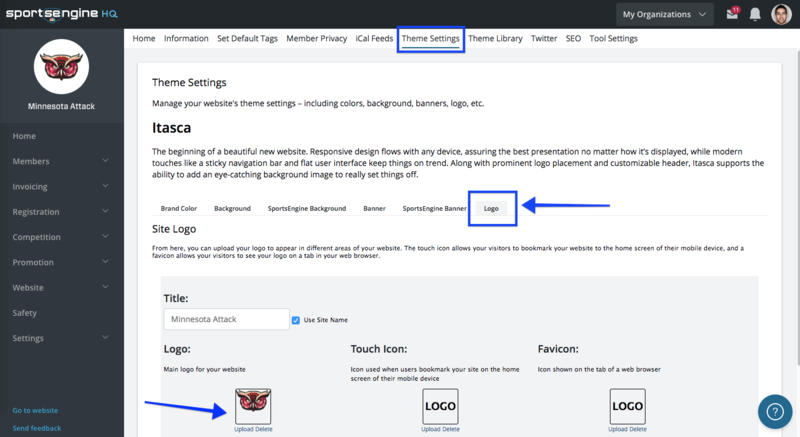 Section: Select a section to only show a banner image on specific pages.